My DJ friend has organized an event that starts soon. 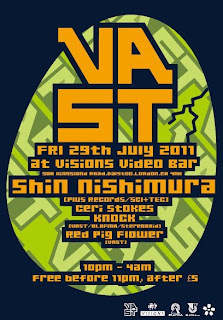 It takes the place at Visions Video Bar on 29/07. If you have any interests in it or live in London, please join it. She is a really good DJ and I guarantee that you will enjoy the night. If you would like to attend, please click attending from link above.